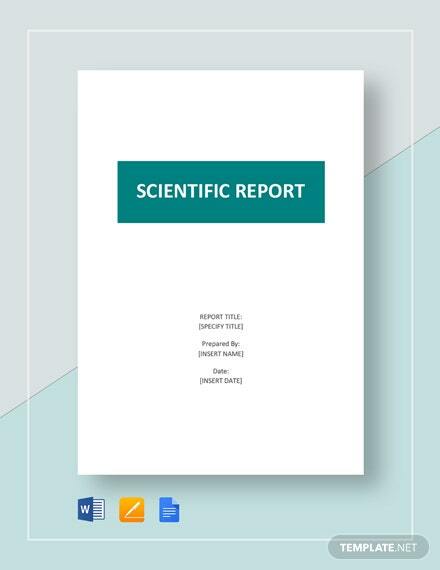 If you are a medical student or a medical lab assistant, you’ll find yourself having for writing a report after report samples of laboratory tests you’ve conducted or helped with. This is a necessary part of the profession and can take a lot more time and head-scratching than is probably justified, especially if you’re still getting used to the formats required of you. 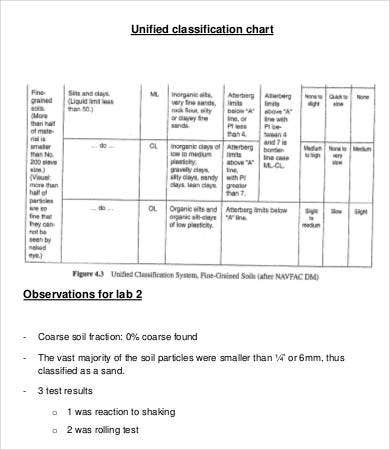 In any of these situations, a ready-made outline you can follow for every experiment will save you a lot of time and energy. 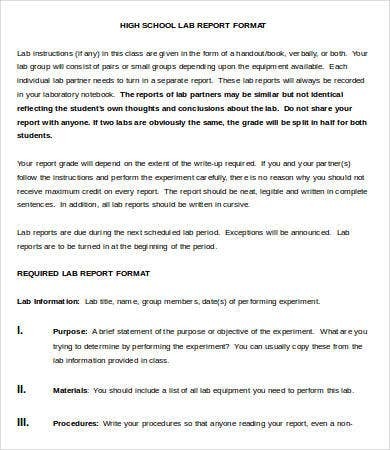 Do yourself a favor and download a Report Template from this list of free samples.perhaps you are just a high school or college student learning how to carry out an experiment, document the process, and record the results. 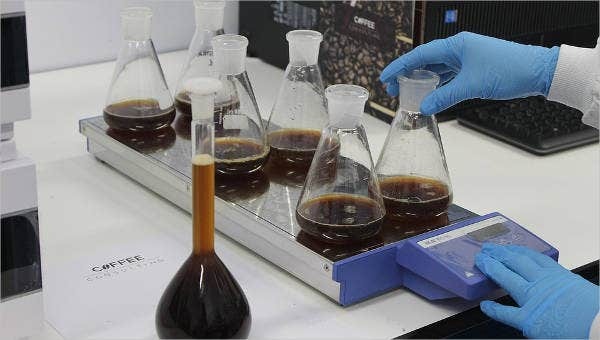 All good scientists make sure their reports accurately convey what happened in an experiment or a laboratory test. 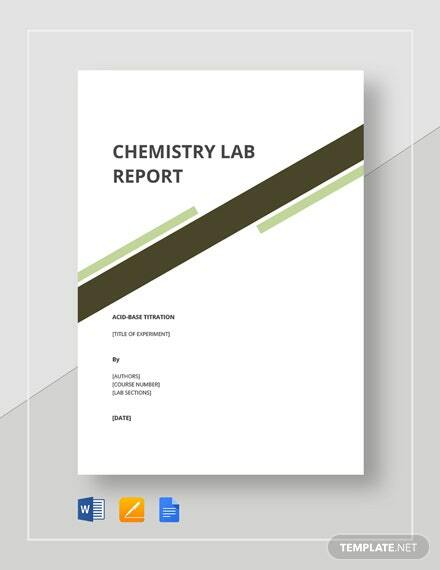 A daily Report Template or a Laboratory Report Template should help you complete this task efficiently, especially if your profession requires you to write a report—or many reports—every day. 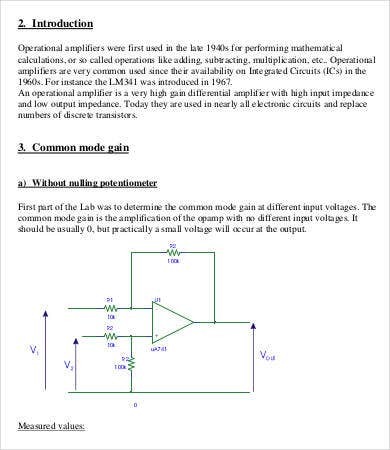 How Do I Draft a Lab Report? 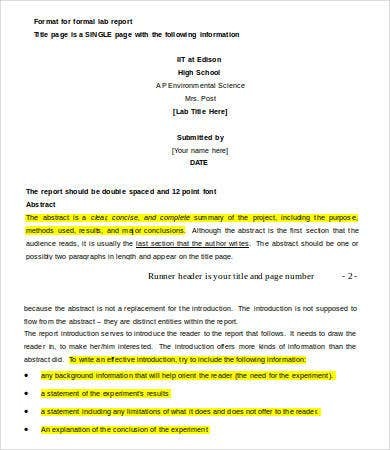 The point of these templates is to free yourself of the need to draft a report from scratch. 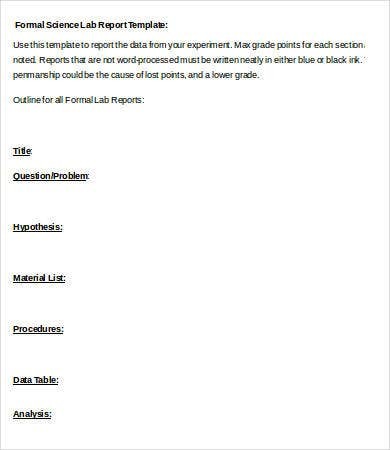 But you may want to try drafting your own report template based on one of these samples. Title. In a single phrase, encapsulate the goal of the study. Abstract. A summary of the scope and aim. Introduction. 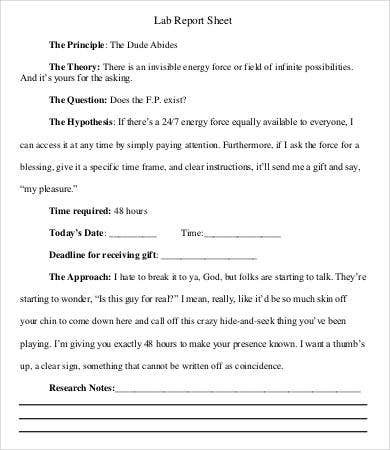 Talk about the issue, include the question you’re trying to answer and the hypothesis you’re testing. Materials and methods. Here you list the paraphernalia and measuring tools. 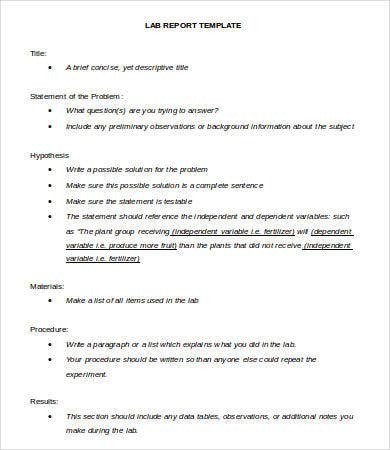 Methods might also be discussed in a separate Procedures section. Data. Input your findings in an appropriate format. Use tables and graphs where necessary. Analysis. 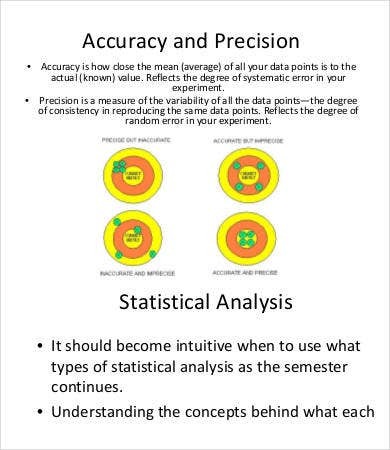 Discuss what inference you can draw from the data. Conclusion. Explain whether the analysis proves or disproves the hypothesis, and what the further implications are. References. 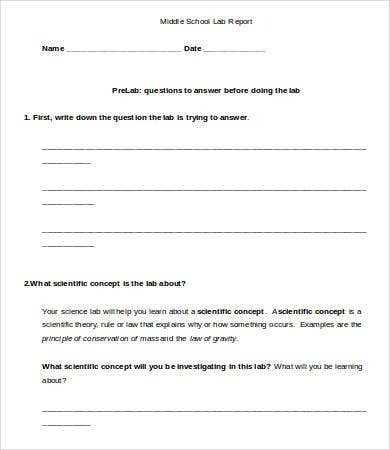 Some reports, especially for a research lab or university, will require you to include any sources you’ve used to help conceive, conduct, and analyze your data. How you choose to report a lab study will depend on the degree of complexity of the experiment and its duration. 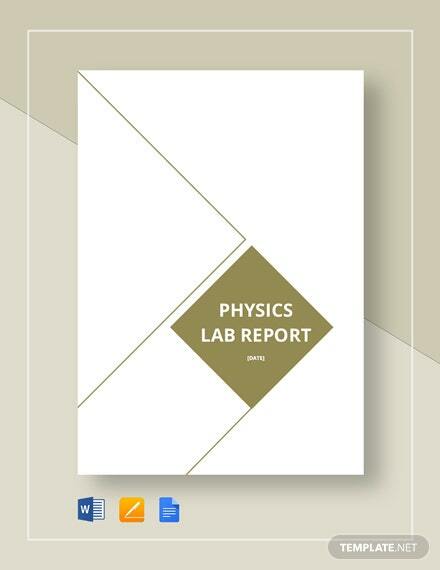 This collection offers a range of lab reports for different experiments, from different scientific branches, performed at different levels. 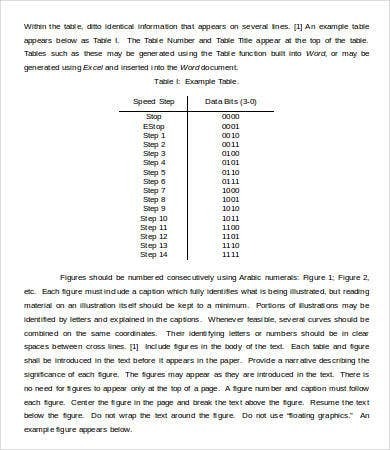 You can gain an understanding of how to write formal lab reports across many quantitative science fields using these samples as guidelines. If you find something you could use, a little word processing and editing is all you need to make it work for you. 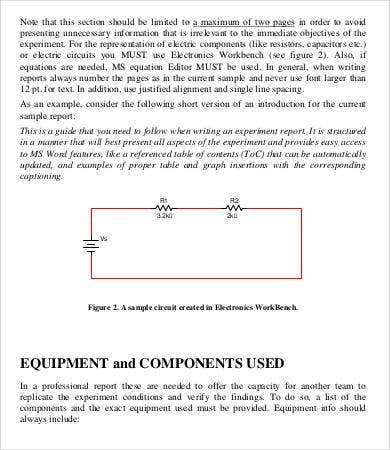 Whether you need a Medical Report Template or something for your high school physics lab project, these free templates should show you how it’s done.